The Monell Center and Jefferson (Philadelphia University and Thomas Jefferson University) announced today the signing of an Agreement of Cooperation, outlining how the two institutions will collaborate over the next year to develop joint scientific programs and clinical opportunities to advance their shared mission of improving human health. The Monell Center, in partnership with the University of Florida Center for Smell and Taste and the Rocky Mountain Taste and Smell Center at the University of Colorado School of Medicine, will host an interdisciplinary two-day conference in November 2018 to establish a roadmap for treatment-focused research on smell and taste disorders. A substance commonly used to treat bladder issues could temporarily treat people who have lost their sense of smell, according to research published in the journal Clinical Otolaryngology. The Monell Center announces three new educational outreach initiatives to promote Anosmia Awareness Day, which takes place on February 27. Each was designed to increase awareness and increase the limited information currently available about anosmia, the loss of our sense of smell, which affects over six million Americans and many millions more worldwide. Monell Center scientist Kai Zhao, PhD, is principal investigator on a $1.5M 4-year grant from the National Institute on Deafness and Other Communication Disorders, part of the National Institutes of Health, to further develop clinical methodology that can predict the path of air flow through a person's nasal passages. On Anosmia Awareness Day, the Monell Center announces "A Sense of Hope: The Monell Anosmia Project," a three-year $1.5M fundraising campaign to support a research and advocacy program focused on anosmia, the loss of the sense of smell. In an advance toward providing mosquito-plagued people, pets and livestock with an invisibility cloak against these blood-sucking insects, scientists today described discovery of substances that occur naturally on human skin and block mosquitoes’ ability to smell and target their victims. Researchers at the Monell Center and collaborators have identified a protein that is critical to the ability of mammals to smell. Mice engineered to be lacking the Ggamma13 protein in their olfactory receptors were functionally anosmic - unable to smell. When our noses pick up a scent, whether the aroma of a sweet rose or the sweat of a stranger at the gym, two types of sensory neurons are at work in sensing that odor or pheromone. Scientists funded by the National Institutes of Health have restored the ability to smell in a mouse model of a human genetic disorder that causes congenital anosmia-the inability to smell from birth. The approach uses gene therapy to regrow cilia, cell structures that are essential for olfactory function. Scientists have restored the sense of smell in mice through gene therapy for the first time -- a hopeful sign for people who can't smell anything from birth or lose it due to disease. 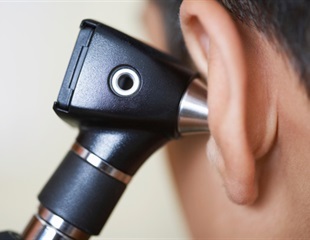 Concomitant olfaction abnormality and increased substantia nigra echogenicity may be preclinical manifestations of parkinsonism in patients with idiopathic rapid eye movement sleep behavior disorder, research suggests. Using data from its unique online research platform, 23andMe, a leading personal genetics company, has identified seven single-nucleotide polymorphisms (SNPs) significantly associated with breast size, including three SNPs also correlated with breast cancer in a genome-wide association study (GWAS) now published online in BMC Medical Genetics. Using data from its unique online research platform, 23andMe, a leading personal genetics company, has contributed to the finding of six novel genetic associations for early onset male pattern baldness (androgenetic alopecia) in a genome-wide association study now published online in the journal PLoS Genetics. Two studies by neurological researchers at Rush University Medical Center suggest that, in the future, colonic tissue obtained during either colonoscopy or flexible sigmoidoscopy may be used to predict who will develop Parkinson's disease, a neurodegenerative disorder of aging that that leads to progressive deterioration of motor function due to loss of neurons in the brain that produce dopamine, a neurotransmitter essential to executing movement. Using its unique online research platform, 23andMe, a leading personal genetics company, has found five significant genetic associations for hypothyroidism in the largest known genome-wide association study of hypothyroidism conducted to date. The details of the study are now available online in the journal PLoS ONE.